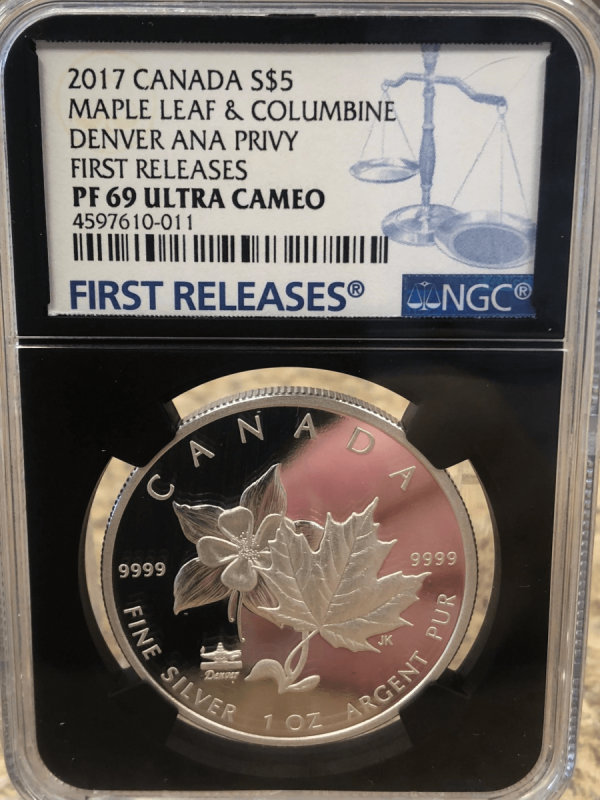 2017 Canada 9999 Silver RP Maple Leaf & Columbine Denver ANA Privy FIRST RELEASES (Graded within first 30 days of issue) ONLY 6000 of these were minted by RCM and a fraction graded this high Professionally Certified and Graded PF69 Ultra Cameo By NGC! 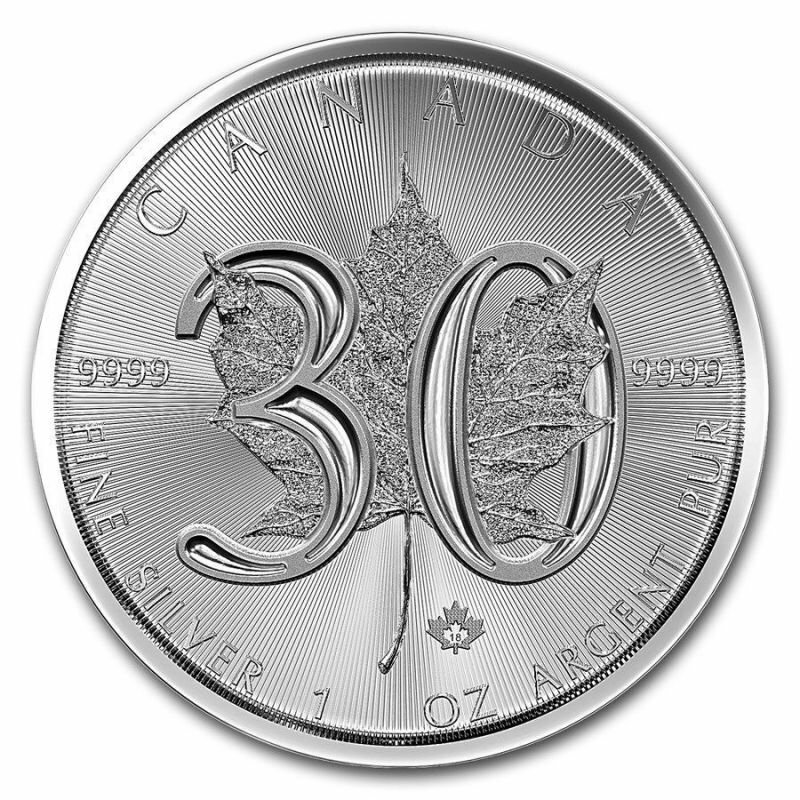 Like a botanical illustration etched into 99.99% pure silver, your coin’s design by Canadian artist Jesse Koreck features an outstanding amount of detail that capture the natural beauty of two stately floral emblems. On the left, the Rocky Mountain Columbine (Aquilegia caerulea) is depicted in full bloom; this official flower of the state of Colorado is known for large-sized, two-tone flowers that face upwards, as engraved on the reverse. 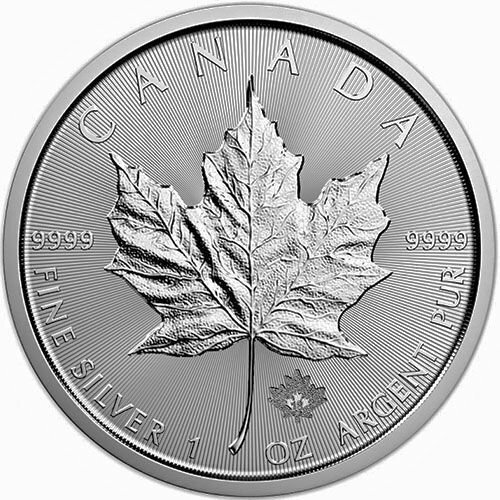 Its slightly curved stem is loosely encircled by the petiole of a sugar maple leaf (Acer saccharum), whose deeply veined lobes and serrated edges are accentuated by the frosted finish against a brilliant background. 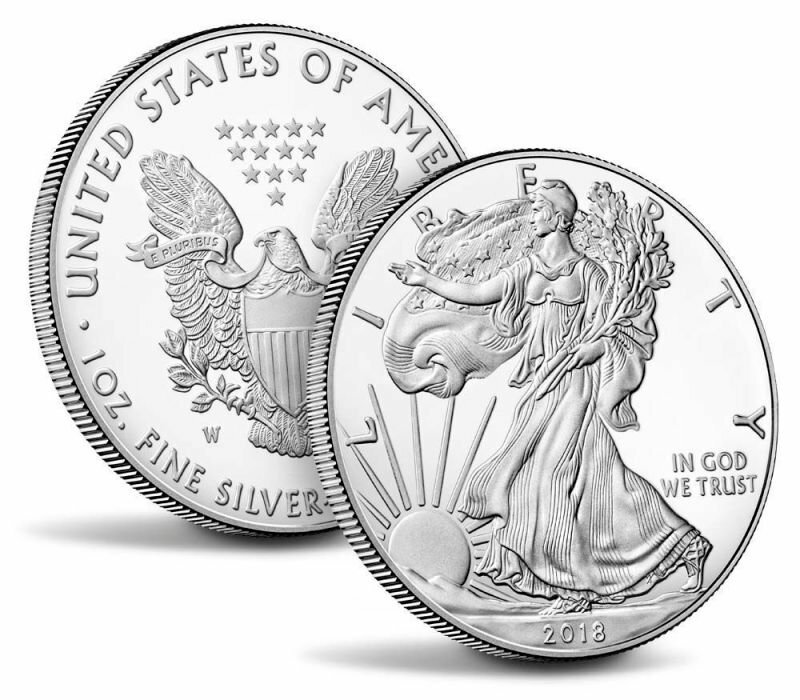 Beneath the columbine, the micro-engraved privy mark stands as a celebration of the 2017 ANA World’s Fair of Money in Denver, as represented by the American Numismatic Association’s logo and the engraved word “DENVER”. 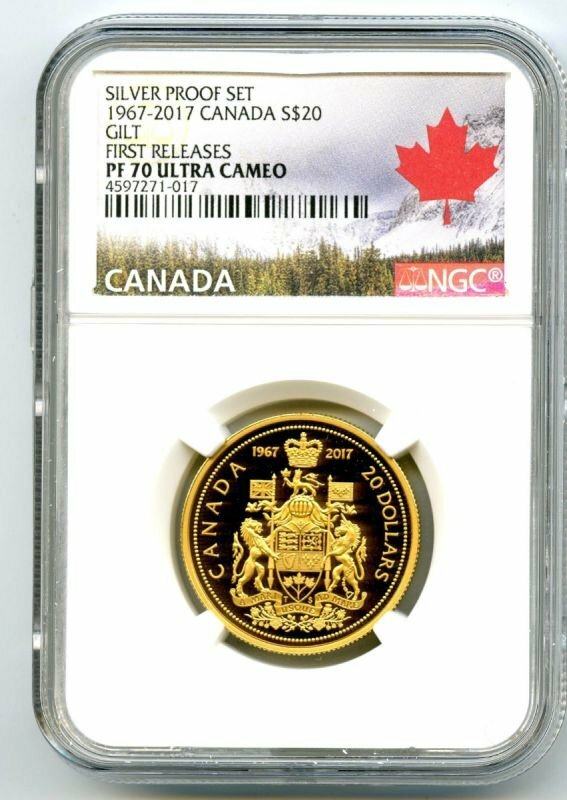 The reverse also features the engraved word “CANADA”, while the obverse features the effigy of Her Majesty Queen Elizabeth II by Susanna Blunt.